Epic Games' "Fortnite" —a free-to-play third-person shooter, which took off after adding a battle royale mode copying "PlayerUnknown's Battlegrounds" —amassed over $25 million in its first 30 days after being ported to iOS devices, according to research data shared this week. In the U.S. people spent $9.5 million on the game within the first two weeks of April —making it second only to Netflix's $12.6 million. That put it above other lucrative apps such as Tinder, Pandora, and YouTube. 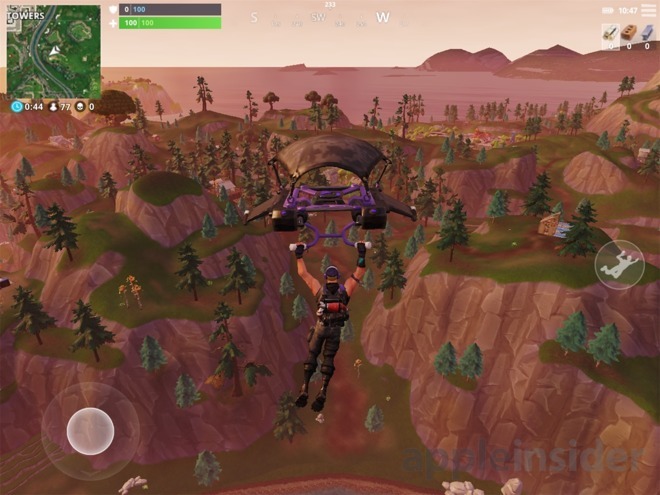 If "Fortnite" can "maintain its current hysteria-level popularity" for a few more months —and it comes to Android by this summer —the game could potentially reap over $500 million by the end of 2018, Sensor Tower projected.